Cover Flux is a chemical that is used for cleaning of alloys. Also, it helps in reducing the loss of metal and its alloy during melting. 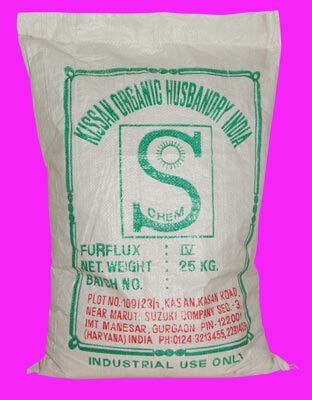 We are regarded as one of the renowned Chemical Cover Flux Manufacturers, Exporters and Suppliers in India. The Sodium Free Cover Flux that we manufacture is supplied to various chemical, aluminum manufacturing industries, etc. We provide Cover Flux in different grades like Cover Fur FluxÂ 30 and Cover Fur Flux 33 that are used for cleansing of various Aluminum alloys.